The UK is home to several Immigration Removal Centres (IRC’s). These are also commonly referred to as Detention Centres. These facilities are similar to mainstream prisons and are used by the UK Government to place people who they suspect do not have a legal right to stay in the UK, or whose legal right to be in the UK is still to be decided, while they try to remove or deport them to their ‘home country’. As of August 2018, the UK was actively using the below detention centres to detain people pending immigration enquiries. UK Immigration Solicitors assists detainees who are held at any of the above detention centres through our team of highly experienced and pragmatic solicitors. 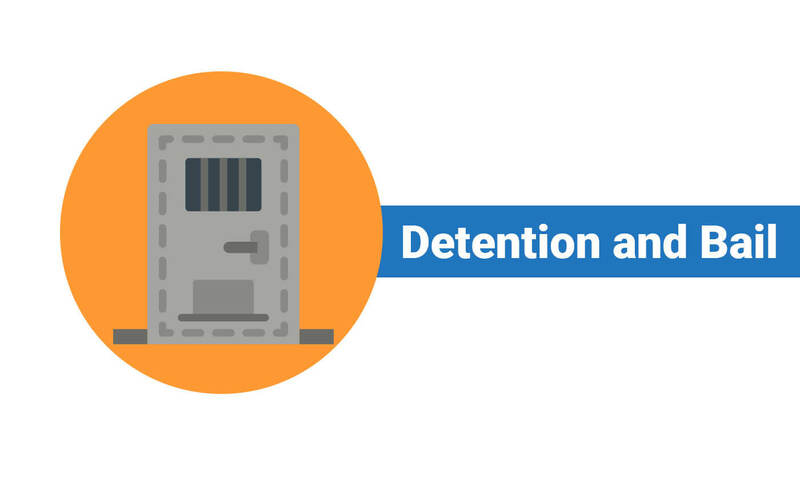 Although immigration detention is an administrative process, it can often seem like a criminal procedure. The UK Government believes that it is right to lock people up in order to make sure they do not go missing before they are removed from the UK. UK Immigration Solicitors is strongly against this view as we believe that detention is only warranted in extreme cases and that those awaiting Home Office removals/decisions should be treated with respect and dignity rather than contempt and suspicion. There are various reasons why somebody may be detained for immigration purposes. Foreign nationals who have been stopped at the border from entering the UK. Foreign nationals who have been arrested in the UK, because they do not have a valid visa. Foreign nationals who have been in prison for a crime, and have finished the custodial part of their sentence. Foreign nationals who have claimed asylum or who have applied for permission to remain in the UK, and are waiting for a decision. Foreign nationals who have been refused asylum or permission to remain in the UK, and are waiting to be removed. There may be other reasons why you have been detained. The Home Office must tell you the reasons why you have been detained at the time of your detention. This is on a form called an IS91R. If you have not been given one, ask the Home Office to give it to you. Unfortunately, there is no specific time limit on immigration detention. Whilst some people spend a few weeks in detention, sadly we are increasingly seeing cases where detainees are held for long periods of time often running into years depending on complexity. This is quite often the case when detainees are assessed as posing a risk to the public or when there are complications in returning someone to their country of origin. You have been made aware that the Home Office is intending to remove you from the UK. You are under the age of 18 and are having difficulty proving this. Home Office Bail – This is a paper based consideration only. Essentially, you are asking for the Home Office to reconsider its decision to detain you and are asking to be released on bail. If your main immigration or asylum case is successful – If the Home Office have approved your original application and granted you permission to stay in the UK, you should be released from detention as the authority to hold you is no longer valid. You should be aware however that if the Home Office intend to appeal this decision and feel that you will go missing if released on bail, they may still keep you in detention whilst the appeal is heard. Bail from an immigration judge (Tribunal bail) – If you have been in the UK for a period of at least 8 days, you have a legal right for Tribunal Bail. Tribunal Bail is the term given to the process of being released from detention by an immigration judge often subject to certain conditions. It is the immigration judge’s job to independently assess the Home Office’s arguments of keeping you detained are strong enough. The High Court of Justice (usually known as the High Court) is one of the Senior Courts for England and Wales. Often, we challenge Home Office decisions at the High Court through the process of Judicial Review. If we are able to argue that the Home Office has detained you without following the law correctly, we may be able to argue that your detention is unlawful and therefore you should be released immediately. It is important to note that the Judicial Review process only concerns the legality of the process as apposed to whether the outcome was correct. This is a particularly complex area of law and requires an experienced specialist to present a compelling application for Judicial Review. You are trying to get you out of detention through another route. You are unable to provide financial guarantees or don’t have suitable accommodation. You have ‘Removal Directions’ (i.e. the Home Office has already notify you that you will be removed from the UK). Although not a strict requirement, having a financial supporter will increase your chances of getting bail in most circumstances. A financial supporter/guarantor acts to support your application for bail. This person volunteers to ensure that you meet your bail conditions and also promises an amount of money to the court which will be lost if you break your bail conditions. Who can be a Financial Guarantor/Supporters? Anyone who is legally in the UK can act as a financial supporter. Generally speaking, financial supporters should be employed. However, if the supporter is not employed, they must be able to demonstrate that they have enough money. In order for the supporter to add credibility to your case, they must know you personally and be able to demonstrate that your belief and support of the bail application is justified. How much money must the financial supporter promise? There is no minimum amount. Bearing in mind that the money will be lost if the detainee breaches their bail conditions, the financial supporter should not promise more money that they can afford to lose. This will vary between different people depending on their financial circumstances. The financial supporter must be able to show that the money is their personal funds and they can spend it as they wish. The money must also have been in a UK bank account for a minimum period of 90 days. If the financial supporter is unable to produce the last three months bank statements, payslips may be accepted as an alternative. If the detainee complies with their bail conditions, and the bail period comes to an end either because stay is granted or ultimately refused, the financial support will not lose the funds. Your financial supporter will not be required to give money to the Tribunal or to Home Office. The Home Office or the Tribunal will take the appropriate steps to recover the money owed from your financial supporter. Your financial supporter’s responsibility to you ends and they are no longer at any financial risk. Your financial supporter will not be required to give money to the Tribunal or to Home Office. The Home Office or the Tribunal will take the appropriate steps to recover the money owed from your financial supporter. Your financial supporter’s responsibility to you ends and they are no longer at any financial risk. 1. The judge believes that the detainee will go missing if released on bail. 2. The judge believes that the detainee will be removed very soon and granting bail would prevent this. 3. It the detainee has a criminal conviction, the judge may believe that the prisoner will re-offend and therefore refuse fail.